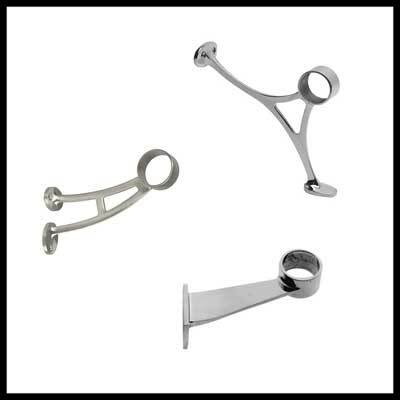 Add a distinctive finish to your stainless-steel bar using our stainless steel footrail. It has a unique brushed look that is clean and contemporary. It is a maintenance free addition to any house or commercial facility and is ultra-durable. 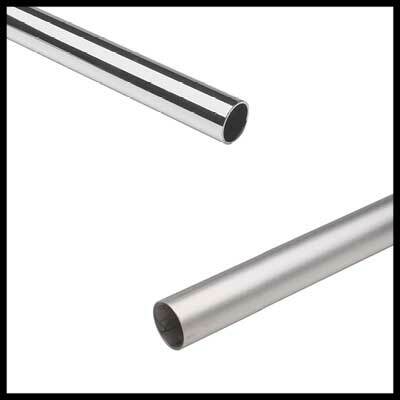 Polished or satin stainless-steel tubing has its applications in different industries. These industries are as diverse as the number of tubing kinds available. Round tubing is usually used for structural purposes and designs that range from aesthetic to highly functional. 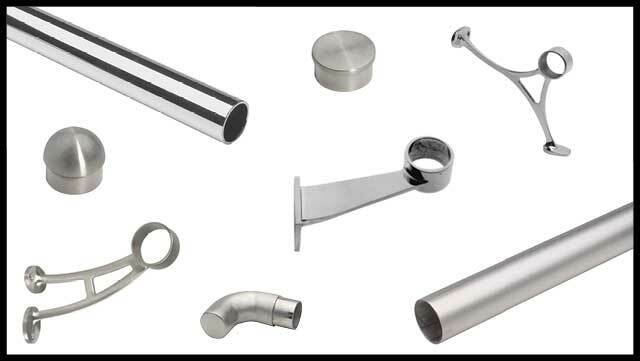 Stainless tubing is a welcome addition to any space and is easily maintained. Footrail is the main component of any rail system that together with other elements provides a comfortable place to rest your feet. The bar mount brackets are an essential component that one should use at both ends of tubing and in required increments in between. Shop here for foot rail brackets in traditional or contemporary styles. 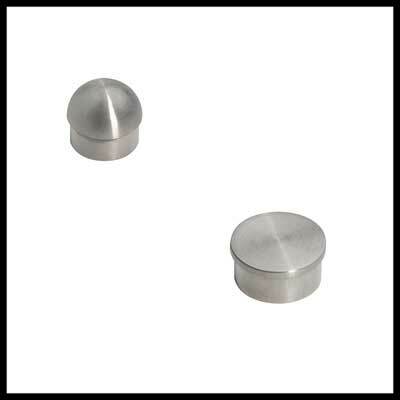 Decorative and functional stainless steel end caps will complete your railing. Our end caps are designed to provide a beautiful finishing touch to your magnificent handrail, footrail, stair railing, and other architectural metal railing projects. These end caps fit perfectly inside the bar railing for a clean, flush appearance.